And that’s why there’s no such thing as a perfect Thanksgiving wine, nor should there be. My dad and I bought all the wine for Thanksgiving dinner and we bought what people would like. 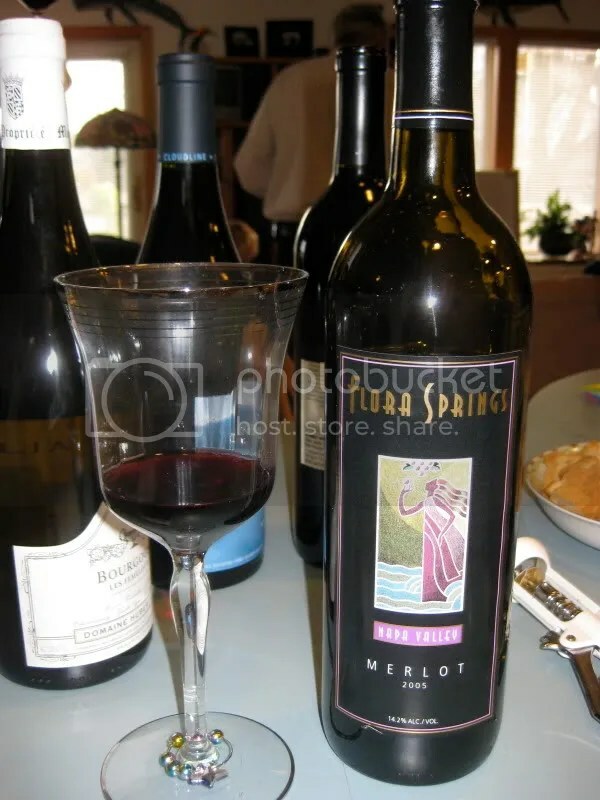 My Aunt hosted Thanksgiving and she loves Merlot so we had two bottles. 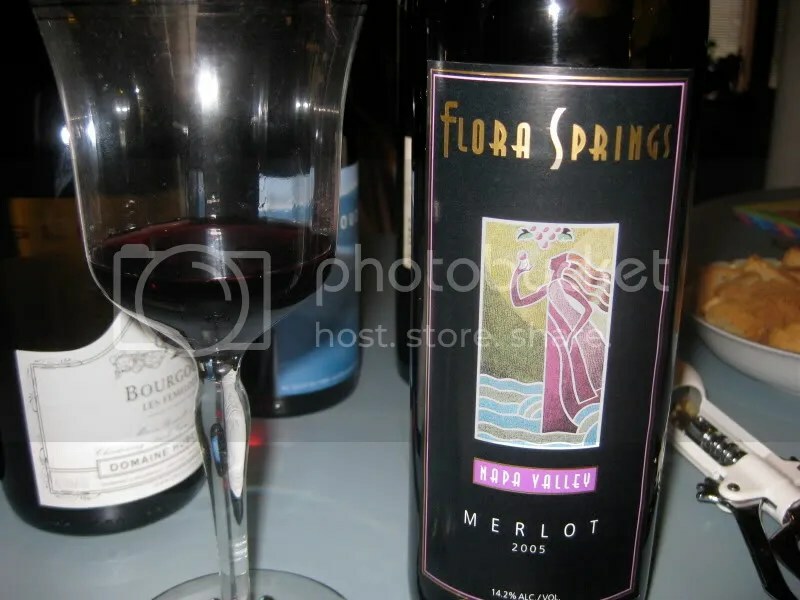 The first that we opened that evening was the 2005 Flora Springs Napa Valley Merlot. It had a real cork closure, clocked in at 14.2% alcohol by volume, and it cost $25 at the Madison Wine Exchange, though I see it online for as low as $19. On the nose I found the wine to be fruity. I got plums, black cherries, spice, and blackberries. 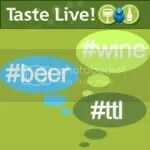 In the mouth I found black cherry, spice, pepper, blackberries, and plums. Overall I thought it seemed fairly light for a Merlot, but it had a nice body, and enough tannin on the finish to hold it together.